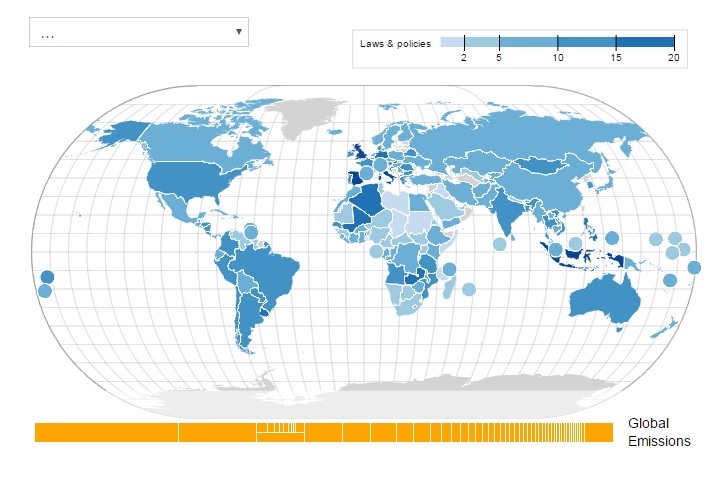 Access the Climate Change Laws of the World database here and search for legislation or litigation in your selected country or countries. negotiation of international agreements to address climate change. The Sabin Center and the Grantham Research Institute on Climate Change and the Environment have collaborated to create an online database of the laws, regulations, policy statements, and other directives issued by national governments. The consolidated database is housed here. An archived version of the Sabin Center’s old database will continue to be available here.